I've been following these two - Stellar Lumens (XLM) and Ripple (XRP) and these are the majority of my cryptocurrency investments. For sure, Bitcoin will still be as the King of cryptocurrency in terms of market capitalization but these two have the great potential to become the second cryptocurrency in the future as they have more potential for market adoption versus the others. No doubt, Ripple is the darling between the two. They have a great marketing team which Stellar don't have. One great news and it will send Ripple's price to the roof. However, if there is no positive catalyst, then surely, its price will go down as the saying goes: 'what comes up must go down'. To take advantage of this volatility, you can actually BUY ON DIPS and SELL ON NEWS. Buy and accumulate Ripple when it's price has dropped. Don't do one time big time, make it smaller amounts and accumulate slowly as the price continues to go down. A good gauge is to accumulate small batches of amounts when the price dips by at least 6% to 7%. Then when there is a positive news, SELL it. And then use the proceeds to buy Stellar Lumens. Stellar Lumens is definitely less volatile than Ripple. These two cryptocurrencies are arguably one the fastest in terms of transaction speed. I've done a test using a stop watch in my smart phone. Sending Ripple from Binance to my Ledger takes around 6 to 7 minutes. Sending Stellar Lumens from Binance to Ledger takes around 4 to 5 minutes. I don't know the checks and security measures implemented by exchanges such as Binance but they are definitely taking things slowly. However, I sent Stellar Lumens from my Ledger to Binance and it took around 1 minute 12 seconds. About the same time it takes Ripple to send from Ledger to Binance. Here in the Philippines, Coins.Ph is the official partner of Ripple. We can buy Ripple directly through their mobile app and usually they have a 4% to 5% profit spread in the buy and sell price. Sending Ripple from my Ledger to my Coins.Ph mobile app takes about the same time which is less than 2 minutes. These two cryptocurrencies have the lowest transaction fees. What I am referring to of transaction fees is when you send it from one wallet to another. These makes these two to have a high potential to be used as a 'digital currency' in the future. Binance has 0.01 XLM fee for Stellar Lumens while it has 0.25 XRP fee for Ripple. However, using Coins.ph mobile app, Ripple has only 0.000045 XRP as transaction fee. If you will ask, what is maintenance fee, it is the cost to maintain a wallet. 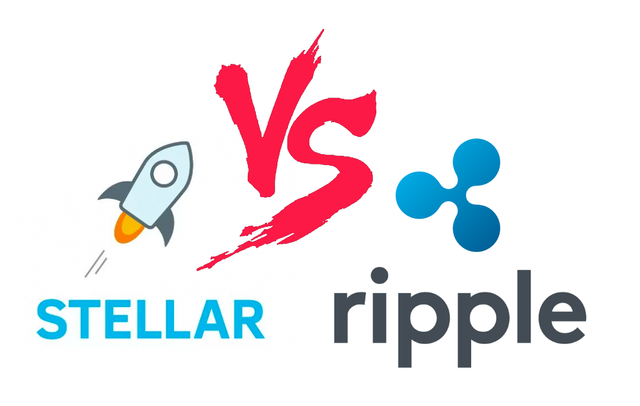 Stellar Lumens has 0.5 XLM to maintain a wallet while Ripple has 20 XRP to maintain a wallet. Looking at these two, it is definitely cheaper to maintain a wallet in Stellar Lumens. Jed McCaleb is the previous co-founder of Ripple. He is the single largest individual holder of XRP. We all know that he is now the co-founder of Stellar. As the previous co-founder of Ripple, he has been entitled to Ripple's shares worth billions of Ripple. It was in the news that he has been selling his XRP holdings on a daily basis but it has a certain limit subject to the agreement that was agreed between him and Ripple management. This is definitely one of the reasons why Ripple's price is dropping. You can actually read the news HERE. Stellar X, together with Stellar's partnership with IBM, will definitely give XLM a market adoption. Stellar X is the decentralized exchange developed by Stellar where traders can trade without a middleman, unlike that of centralized exchanges like Binance. Although it is still new and under continuous development, I think that if this attracts more and more users, then Stellar Lumens will become more liquid than Ripple and liquidity is a pre-requisite to market adoption. Stellar Payband is one of the world's first cryptocurrency wristbands for contactless payments using near field communication (NFC) for making payments with Stellar Lumens and tokens. Stellar Payband also includes a point of sale (POS) merchant management system for accepting Stellar Payband payments and can also be used as a peer to peer transfer of Stellar Lumens and Tokens. Isn't it cool to use wristbands to pay your coffee at Starbucks and in other merchants? Cool right? This is the future! Check their website HERE. There are definitely more news in the future for these two companies. They will both participate in the upcoming SWIFT's event called SIBOS 2018 which is going to be held at International Convention Centre (ICC) Sydney between 22 & 25 October 2018. Stellar will be there through their partner IBM. You can check out the exhibitors HERE. I will keep an eye for more as news develop between these two cryptocurrencies. Stay tuned and I will definitely appreciate if you can give an upvote to this article. Cheers fellow cryptoenthusiasts!